A proposal from the European Transport Safety Council that means all new vehicles will be fitted with speed limiting technology has just been approved. Any new models sold in the European Union (EU) will be fitted with technology called Intelligent Speed Assistance (or ISA) that is designed to help drivers remain under the speed limit no matter where they are driving. In fact, many of the top motorcycle and car manufacturers are already building this tech into some of their new models; namely Renault, Volvo, Honda, Mercedes-Benz, Citroën, Renault and Ford – all big names in the motor industry, but what do the new speed limiter laws mean for UK riders? As it turns out, the 2022 introduction date is (at the time of writing) limited to new cars, vans, lorries and buses. Motorcycle riders won’t have to worry about the speed limiting laws for a little while longer; we’ve investigated why this is and what these laws could mean for riders in the future. What vehicles will be affected? As mentioned previously, current legislation only defines the vehicles that are going to be immediately affected as cars, vans, lorries and buses that are sold within the EU. Motorcyclists are mentioned within the legislative document in the ‘vulnerable road users’ category as they are one of the groups of people this bill was designed to protect. The new legislation will be taking hold after 2022, so any vehicles that are sold after this date in any of the relevant countries must abide by the new rules. Aside from that, no vehicles will be affected by the ruling – meaning no retrofitting of new technology to older vehicles. The ISA technology looks to link together a GPS system with an onboard digital map that can inform the vehicle what the posted speed limit is, and what speed the engine should safely accelerate to. If the GPS system is unavailable, then the ISA will rely upon front facing camera technology that uses sign reading software to read speed signs on the road you would be riding on to tell the engine how quick it should be moving. Motorcycle ISA technology has still not been fully developed, so two-wheelers will remain exempt from the new laws both within Europe and the UK. With that being said, technology is always being upgraded and improved, so once motorcycle ISA tech is fit for use it’s expected that riders and manufacturers will have to comply with the speed limiting laws just as other motorists do. The ISA systems aren’t planned to act as speed limiters do, by restricting engine use and top speeds absolutely. Instead, the ISA will function more like a cruise control, stopping riders from accidently accelerating above the limit. This means you are still going to be able to enjoy an unrestricted performance from your bike in safe environments (like a track day) without worrying about a tampered engine. The ISA is also planned to be overridable. So, twisting your accelerator when riding at the speed limit will still cause your bike to accelerate, and the entire ISA system could be turned off from an on-board computer (if the option is available). Basically, the ISA systems aren’t going to be killing riders’ speeds unsafely as they enter new speed zones or preventing overtaking when necessary – but that doesn’t mean speeding is going be easy or unmonitored. What will speeding with an ISA fitted mean? Many drivers are already familiar with telematics insurance, whereby a ‘black box’ is fitted to your car to monitor your driving style, and the results are factored in when calculating your insurance premium. The ISA technology would be very similar, so while it would be totally possible to override the ISA and drive faster than the limit, if you cause an accident or get stopped by police your vehicle can act against you by giving the authorities information on how fast you were travelling, how long for and how often. Just like the black box, its predicted that having an ISA fitted to your vehicle (be it bike, car or van) can have a positive effect on your insurance premiums at the very least. 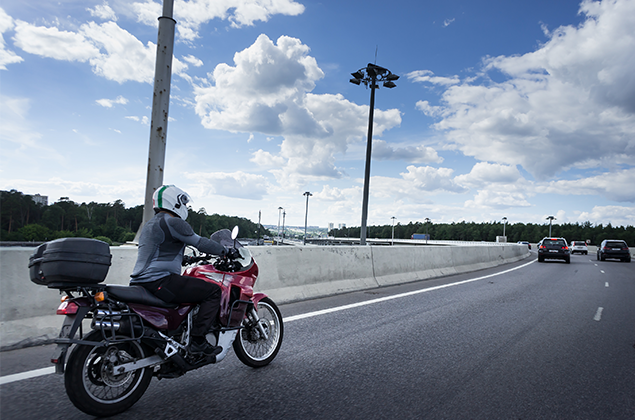 Consistent safe driving could potentially lead to a No Claims Bonus style discount, with riders and drivers paying out less by the month or year on their insurance if drive within the speed limit. Safety on roads is also thought to improve, with hopes that the ISA technology will cut down on road casualties thanks to either the speed limiting tech, or the fear drivers and riders will have at the prospect of being tracked while speeding. There will be no need for owners of older or vintage bikes to be worried about their vehicles being modified either as the law will only affect new models. Even then, riders have a longer period of time to buy brand new bikes following 2022 without ISA tech fitted as it’s still not ready for use on motorcycles yet. Some may wonder why these EU laws will affect British riders if we are set to leave the European Union and the ISA technology for bikes is far off? 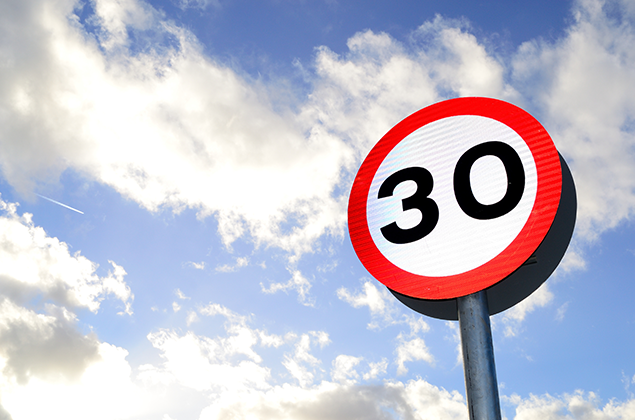 The answer is that the British Government has chosen to invoke the same laws independently of EU ruling so in the eventuality that Brexit is followed through, motorists and manufacturers in the UK will still have to follow these new speed limiting laws. Even so, UK riders will have to be ready for ISA tech to come to their bikes in the future. When it does, we are going to have to accept the fact that speeding will have a more measurable effect when it comes to collisions and police stops – but also a potential positive when it comes to insurance premiums and, of course, reduced road casualties. If you are looking to save money on your bike insurance today then why not take five minutes to get a quote – we compare more motorbike insurance brokers than any other price comparison site on the market. Reminder: The Bike Insurer do not condone or encourage speeding, unsafe driving or practises on the road in any way. Please drive safely and respect the highway code at all times.